On October 5th my husband and I celebrated our second wedding anniversary. Two years… I can hardly believe that much time has passed. 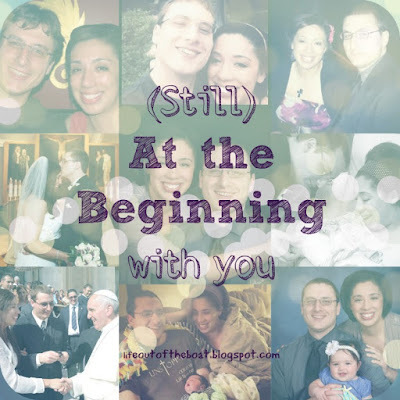 We’ve learned and experienced a lot in these first two years of marriage, but I also realize that we are still very much at the beginning of a lot of new adventures. A couple in our parish recently celebrated 50 years of marriage. Before their renewal of vows, the priest spoke about how when a couple walks down the aisle and stands at the foot of the altar on their wedding day they have no idea what they are saying “yes” to. Sure, God willing they completely intend every word that is spoken during the exchange of vows, but there’s no way for a newlywed couple to anticipate all that will come in the decades ahead, no way to know what that “yes” will cost them. And if we did somehow get a sneak peak of the crosses married life would bring with it, would we be as enthusiastic to say “yes”? I can’t imagine all that this couple has experienced in the last 50 years of marriage, all of the joys and the sufferings… but I’m sure they would say that it has been completely worth it. 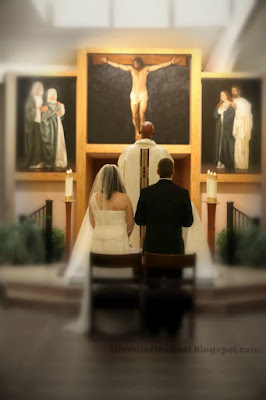 One of the most beautiful things about the sacrament of marriage is that we receive the grace that we need to say “yes”. There’s no way we can live out God’s free, total, faithful, and fruitful love by our own efforts. There’s no way we could love unconditionally without some Divine Intervention. 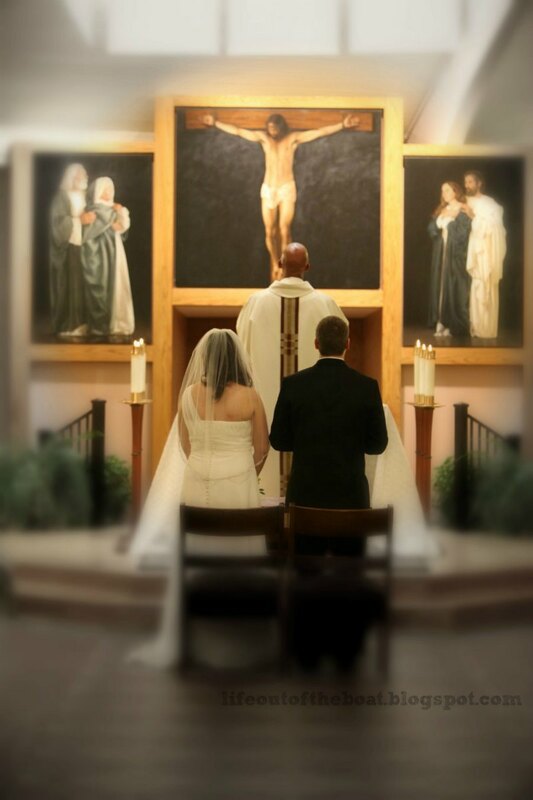 The vocation we embrace as married couples is to help our spouses and our children become saints. We need all the extra help we can get!! The day before our anniversary this song from the movie “Anastasia” got stuck in my head. In two years of marriage we’ve learned a lot about ourselves, one another… life… but I know there’s still a lot of learning to do. God willing there are still decades worth of new experiences and life lessons ahead of us. The best part of all of this is that we aren’t facing any of this on our own. I am looking forward to other beginnings as we enter Year 3. In fact, one “new beginning” is already underway. The night before our anniversary we received a phone call that our offer had been accepted on a house. Our first home! 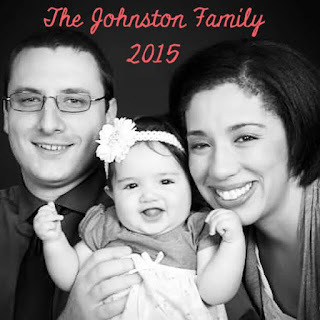 As I’m sure you can imagine, this is a pretty major step for our family. After a lot of prayer and discernment (and a lot of “Are you sure about that Lord?“) we are putting down deeper roots. We’re excited, surprised, and doing our best to surrender our plans to God’s hands. What continues to give me peace and joy in the midst of all of these new beginnings is that we aren’t going through any of them on our own. God has been part of our story from the very beginning and it is comforting to know that He will continue to be part of every step.